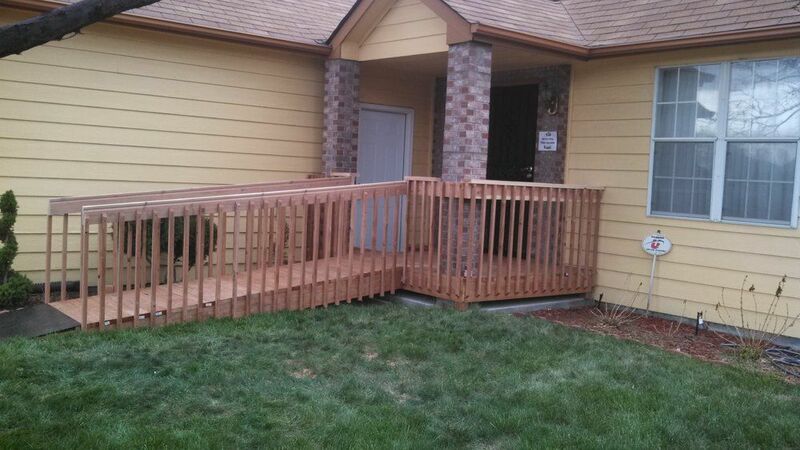 Custom wood ramp in front yard. The customer can now access their home with ease. "I was satisfied with the work, they were very polite and I am happy with the outcome of the job."